I got to experience the trails of the Talladega National Forest since it was the location of the Pinhoti 100 trail race. 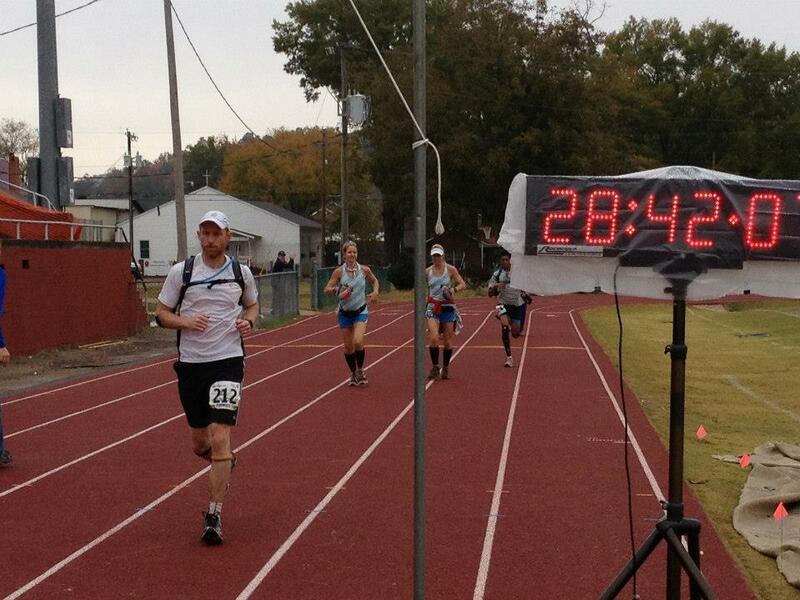 I traversed the trail north to south from Heflin, AL to Sylacauga, AL covering 100 miles (160k) in about 28 hours. The trail has lots to offer with about 80% single track, 16% jeep road and the balance dirt and paved road. Where it is jeep road, the footing is still challenging. There is also over 16,000 feet (4876m) of total elevation change since you get to scale steep peaks, including the highest point in Alabama, Cheaha Mountain (2408 ft, 624m). The trail is technical in parts with loose rocks, thick pine needles and steep terrain. You need not run 100 miles to enjoy it as there are many options for running along the trail as shown in the map from the Pinhoti Trail Alliance. It was a not too bad a drive from Columbus, OH around 10 hours. However, you can also fly into Birmingham, AL or Atlanta, GA and be on the trail in no time. The Cheaha Trailhead is less than a 2 hour drive from the Atlanta airport making this destination a great option for some ultra running if in Atlanta for work. Just stay an extra day to enjoy an amazing trail.